Yes. We decided to drink coffee in toilets, but not just any toilets. The attendant. You got it, what was once a Victorian place of toilet business is now a quirky social hub. 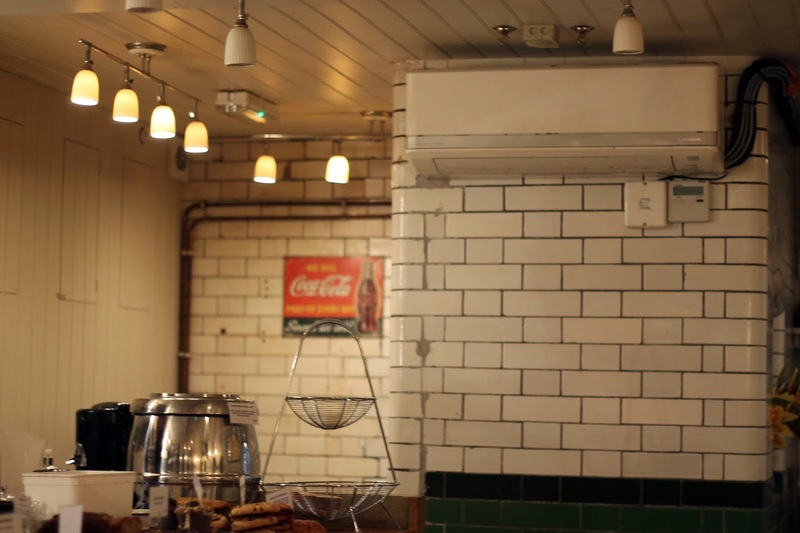 I’m not sure if it is necessarily a place I could sit in for a good few hours, drink multiple coffees and edit our newest video in alike most coffee shops- but it is definitely a weird and cool experience. The coffee is pretty perfect in my eyes, but what stood out was the most insane Oreo and Peanut butter cake (Yes, we broke our healthy eating rule for it, and yes it was so worth it). If you are like me, then you probably will feel just a tad uncomfortable towards the fact that you are sitting on stools by what once was a used urinal, and I have to say this was both the reason I decided to visit The Attendant, but also the reason behind why it is not my favourite coffee shop of all time. I mean to me what I love about coffee shops is that they are a place to relax and chill in- and there’s something quite weird about relaxing in some old toilets. However this made it more of a cool experience, which I throughly enjoyed. 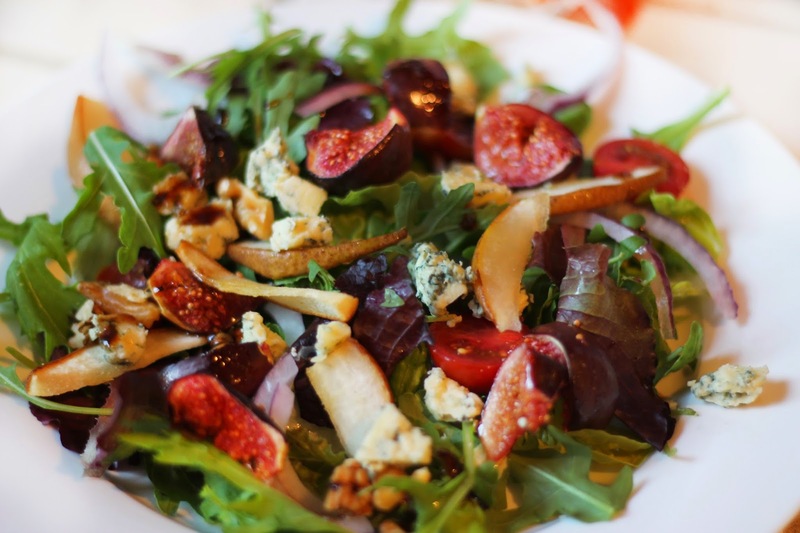 Fig, Stilton and Walnut Salad. 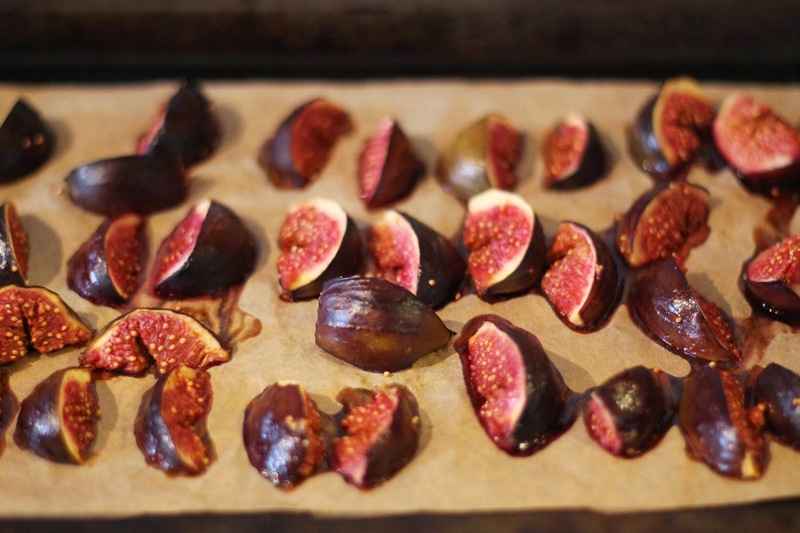 October 4, 2014 February 2, 2018 by Grace Mandeville10 Comments on Fig, Stilton and Walnut Salad. Some people may think I’m weird, because I am a huge Salad lover. I don’t exactly love lettuce or the green part of the salad, unless it’s Rocket- I love the spiciness of Rocket (see I love it, I could talk about it for hours). Anyways my point is that I love salad so much due the stuff I put on it, not the leaves, and A Fig, Stilton and Walnut Salad is one of my absolute favourites. You probably don’t need to be told this, but it’s the easiest thing in the world to make and just tastes so damn good. There’s something about the sweet fruit combined with stilton that is just so yummy.